A good Phuket conference venue should keep pace with the needs of those planning to use it, which obviously means that they need to know about the demands of their users. Fortunately, the International Association of Conference Centres (IACC) continually researches those demands in its ‘Meeting Room of the Future’ studies. The most recent study, presented at IACC 2017 Europe Knowledge Fest in September, reveals some interesting trends. A staggering 81 per cent of respondents to the IACC survey said that they had started using new technology in the last five years, encouraging greater audience participation and use of social media. This includes standard social platforms like Facebook and Instagram, but also dedicated conference apps like ShowGizmo and Proxfinity. Naturally, that means that the modern Phuket conference venue needs to provide a stable WiFi connection and able tech-support staff. Flexibility is also increasingly important, with 75 per cent of those polled stressing the need for multi-purpose meeting spaces. Ideally, a good Phuket meeting hotel should have rooms available for breakaway groups and collaboration, increasing the value of the time spent there. Some things never change, and the trends from the IACC survey support that fact. For example, the key objectives people hope to achieve during their time at a Phuket conference venue remain the same. This includes getting a return on investment, extracting some visible value from the meetings, learning something new and expanding or strengthening networks. Similarly, the value of experience in meetings and meeting planning remains constant. Three quarters of all those surveyed said that, regardless of age, meaningful experiences will only increase in value in the coming years. Those who replied to the IACC’s survey revealed some interesting trends in terms of the impact a good venue can have on events. Meeting planners, in particular, said that the venue has a significant impact on productivity and creativity. This is mostly going to be a result of the facilities available, but the setting itself will also have an influence. 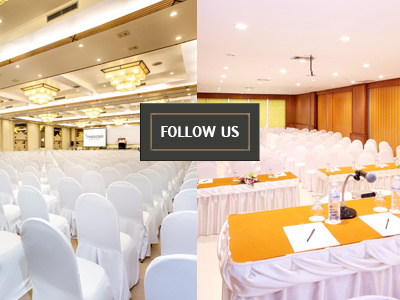 A good Phuket conference venue should therefore not only have the tech, but should also have tasteful interior decoration and a pleasant location. Finally, and perhaps most importantly, is food. It is said that an army marches on its stomach, and a successful meeting is no less dependent on its digestive system. Hungry participants will be less inclined to engage in activities and make effective actions and decisions. The IACC survey results stressed the importance of the food and beverage service supporting networking efforts by offering informal grazing menus, while scheduled meals should allow ample time for participants to not just eat, but also relax and socialise.